Son yıllarda çeşitli ülkelerde yapılan fen eğitimine yönelik araştırmaları bir araya getirmek amacıyla Avrupa Fen Eğitimi Araştırma Kurumu (European Science Education Research Association) konferanslar düzenlemektedir. Bunlardan biri olan “ESERA–2009 Konferansı”nda fen eğitimi alanında dünya çapında araştırmalara yer verilmiştir. Fen eğitiminde ülkelerde olup bitenlerin, değişik ülkelerde yapılan araştırmalar ve sonuçlarının ortaya konduğu bu önemli konferansta; fen eğitimi; öğretim, hizmet öncesi ve hizmet içi öğretmen eğitimi, uluslar arası perspektifler, öğrenme, değerlendirme, bilim okur-yazarlığı ve bilimin sosyal yanları gibi değişik boyutlarla ele alınmıştır. Bu çalışmada fen eğitiminde bilimsel içeriğin doğası; bilimin tarihi, sosyolojisi ve felsefesi ve argümantasyon konularına yönelik ülkemizde ve diğer ülkelerde yapılmış güncel araştırmalar mercek altına alınmıştır. Doküman analizi yapılmış ve betimsel yöntem kullanılmıştır. Eğitimcilere ve araştırmacılara önemli derecede yol göstereceği düşünülen bu çalışmada, belirtilen alt alanlar üzerine ortaya çıkan bildiri ve makalelerin eğilim analizi oluşturulmuştur. Bilimin doğası, argümantasyon ve bilimin tarihi, sosyolojisi ve felsefesi üzerine yapılan araştırmaların konu ve içerikleri, çalışmaların ülkelere göre dağılımı, çalışma gruplarının yapısı ve dağılımı, kullanılan istatistiksel yöntemler ve sonuçlar sırasıyla ele alınmıştır. The European Science Education Research Association does organize conferences in order to collect researches about science education in the recent years. “ESERA-2009 Conference”, as being one of those, worldwide science education researches are presented. In this important conference, science education is discussed in different perspectives such as; teaching, pre-service and in-service teacher education, international perspectives, learning and assessment, scientific literacy and social aspects of science. In this paper, the national and international current researches on nature of scientific content, argumentation, history, philosophy and sociology of science are focused. Document analysis has been done and descriptive method is used. It will be an important guide to educators and researchers as a means of knowledge about recent studies. Content of studies, the distribution according to countries, the structure and distribution of research groups, preferred statistical methods and the results of the researches about nature of science, argumentation, history, philosophy and sociology of science are mentioned. C Aufschnaiter (2010). Argumentation about and understanding of science: research exploring how to interrelate these two different perspectives 85-86. In M.F. Taşar & G. Çakmakcı (Eds. ), Contemporary science education research: international perspectives .Ankara, Turkey: Pegem Akademi. D Lazarou (2010). Learning to TAP: An effort to scaffold students’ argumentation in science. 43-50. In G. Cakmakci & M.F. Taşar (Eds. ), Contemporary science education re- search: scientific literacy and social aspects of science. Ankara, Turkey: Pegem Akademi. A Konstantinidou, J Mª Cervero, M Castells (2010). Argumentation and scientific rea- soning: the “double hierarchy” argument 99-108. In M.F. Taşar & G. Çakmakcı (Eds. ), Contemporary science education research: international perspectives . Ankara, Turkey: Pegem Akademi. M Castells, S Erduran, A Konstantinidou (2010). Argumentation & scientific concep- tions in peer discussions: a comparison between Catalan & English students 87-97. In M.F. Taşar & G. Çakmakcı (Eds. ), Contemporary science education research: interna- tional perspectives. Ankara, Turkey: Pegem Akademi. K S Merghli, S Laurence,A Atf (2010). The teaching of socio-scientific issues for sci- entific literacy and citizenship. 79–86. In G. Cakmakci & M.F. Taşar (Eds. ), Contempo- rary science education research: scientific literacy and social aspects of science. Ankara, Turkey: Pegem Akademi. N M Scheid (2010). Pre-service teachers’ ideas and knowledge about the notion of argument - a metacognitive approach. 87-98. In G. Cakmakci & M.F. Taşar (Eds. ), Contemporary science education research: scientific literacy and social aspects of science. Ankara, Turkey: Pegem Akademi. R Roberts, R Gott (2010). A framework for practical work, argumentation and scien- tific literacy. 99-106. In G. Cakmakci & M.F. Taşar (Eds. ), Contemporary science edu- cation research: scientific literacy and social aspects of science. Ankara, Turkey: Pegem Akademi. R M Naaman (2010). Enhancing the scientific literacy of students by exposing them to a historical approach to science. 133-139. In G. Cakmakci & M.F. Taşar (Eds. ), Con- temporary science education research: scientific literacy and social aspects of science. Ankara, Turkey: Pegem Akademi. G Venville, V Dawson (2010). Socioscientific issues, argumentation and conceptual understanding in high school genetics. 165-173. In G. Cakmakci & M.F. Taşar (Eds. ), Contemporary science education research: scientific literacy and social aspects of science. Ankara, Turkey: Pegem Akademi. S Simon, K Richardson, C Howell-Richardson, AChristodoulou, J Osborne (2010). Professional development in the use of discussion and argument in secondary school science departments 245-252. In G. Cakmakci & M.F. Taşar (Eds. ), Contemporary sci- ence education research: teacher education. Ankara, Turkey: Pegem Akademi. M Aydeniz, R A. Hagevik, J Roberson (2010). Fostering preservice elementray school teachers’ nature of science views through a situated learning model 51–57. In G. Cak- makci & M.F. Taşar (Eds. ), Contemporary science education research: teacher education. Ankara, Turkey: Pegem Akademi. M Ekborg, E Nyström, C Ottander (2010). Teachers and SSI in Sweden 253-262. In G. Cakmakci & M.F. Taşar (Eds. ), Contemporary science education research: teacher education. Ankara, Turkey: Pegem Akademi. R Justi, N Braga Mozzer (2010). Students’ pre- and post-teaching analogical reaso- ning 3-12. In M.F. 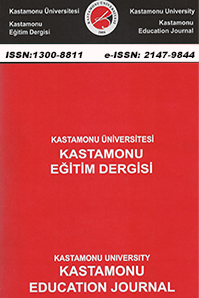 Taşar & G. Çakmakcı (Eds. ), Contemporary science education rese- arch: international perspectives . Ankara, Turkey: Pegem Akademi. İ B. A Özdemir, D Ardac (2010). Visualization in learning about chemical equilibri- um 23-32. In M.F. Taşar & G. Çakmakcı (Eds. ), Contemporary science education rese- arch: international perspectives, Ankara, Turkey: Pegem Akademi. N Er, D Ardac (2010). A web-based learning tool that emphasises the role of visuals in supporting argumentative claims 33-42. In M.F. Taşar & G. Çakmakcı (Eds. ), Con- temporary science education research: international perspectives . Ankara, Turkey: Pegem Akademi. M Cheng, J K. Gilbert (2010). Case studies of students’ visualization of science – a dual coding perspective 53–63. In M.F. Taşar & G. Çakmakcı (Eds. ), Contemporary science education research: international perspectives. Ankara, Turkey: Pegem Akademi. R Karam, M Pietrocola (2010). Recognizing the structural role of mathematics in physical thought 65–76. In M.F. Taşar & G. Çakmakcı (Eds. ), Contemporary science education research: international perspectives. Ankara, Turkey: Pegem Akademi. W Sommer, J Grebe-Ellis (2010). Generating scientific knowledge in optics via phe- nomenology 77–83. In M.F. Taşar & G. Çakmakcı (Eds. ), Contemporary science educati- on research: international perspectives . Ankara, Turkey: Pegem Akademi. C. Aufschnaiter (2010). Argumentation about and understanding of science: rese- arch exploring how to interrelate these two different perspectives 41–42. In G. Cak- makci & M.F. Taşar (Eds. ), Contemporary science education research: scientific literacy and social aspects of science. Ankara, Turkey: Pegem Akademi. M Castells, S Erduran, A Konstantinidou (2010). Argumentation & scientific con- ceptions in peer discussions: a comparison between Catalan & English students, 87–97. In G. Cakmakci & M.F. Taşar (Eds. ), Contemporary science education research: scientific literacy and social aspects of science. Ankara, Turkey: Pegem Akademi. A Konstantinidou, J Mª Cervero, M Castells (2010). Argumentation and scientific re- asoning: the “double hierarchy” argument 61-70. In M.F. Taşar & G. Çakmakcı (Eds. ), Contemporary science education research: scientific literacy and social aspects of science. Ankara, Turkey: Pegem Akademi. T Riemeier, J Fleischhauer, C Rogge, C Aufschnaiter (2010). The quality of students’ argumentation and their conceptual understanding –an exploration of their interre- lationship 109-114. In M.F. Taşar & G. Çakmakcı (Eds. ), Contemporary science educati- on research: international perspectives . Ankara, Turkey: Pegem Akademi. G E. Höst, K J. Schönborn, P B Persson, L. A. E. Tibell (2010). Methods for inves- tigating students’ learning and interaction with a haptic virtual biomolecular model 115-121. In M.F. Taşar & G. Çakmakcı (Eds. ), Contemporary science education research: international perspectives. Ankara, Turkey: Pegem Akademi. P Tarábek (2010). Model of cognitive architecture of common and scientific concepts 123-133. In M.F. Taşar & G. Çakmakcı (Eds. ), Contemporary science education research: international perspectives . Ankara, Turkey: Pegem Akademi. E Bertozzi, I Galili, O Levrini (2010). The discipline - culture model and conceptual analysis in science education: the case of teaching quantum field theory 135-144. In M.F. Taşar & G. Çakmakcı (Eds. ), Contemporary science education research: internatio- nal perspectives. Ankara, Turkey: Pegem Akademi. D McGregor & P Taylor (2010). How do pre-service secondary science teachers stra- tegize their pedagogy to teach for conceptual change 145–153. In M.F. Taşar & G. Çakmakcı (Eds. ), Contemporary science education research: international perspectives. Ankara, Turkey: Pegem Akademi. B Chakrabarti (2010). Guiding the physics students to the doorsteps of modeling through the gateways of assumptions and analogies 155–160. In M.F. Taşar & G. Çak- makcı (Eds. ), Contemporary science education research: international perspectives. An- kara, Turkey: Pegem Akademi. P A Porto, P Corio, F A Maximiano, C Fernandez (2010). The organization of che- mistry as conceived by undergraduate students – a study using concept maps 161– 166. In M.F. Taşar & G. Çakmakcı (Eds. ), Contemporary science education research: international perspectives. Ankara, Turkey: Pegem Akademi. E F Durán, E J Gómez, I S Martínez (2010). Does the Term Dynamometer Reflect Its Linguistic Meaning? What Should Be Called: Forcemeter, Wattmometer, Joulemo- meter…? Why? 167-171. In M.F. Taşar & G. Çakmakcı (Eds. ), Contemporary science education research: international perspectives. Ankara, Turkey: Pegem Akademi. F Rezende, I Oliveira (2010). University students’ epistemological beliefs on natural and social sciences 173–177. In M.F. Taşar & G. Çakmakcı (Eds. ), Contemporary science education research: international perspectives. Ankara, Turkey: Pegem Akademi. U Üstün, AEryılmaz (2010). Which Definition(s) of Weight Do We Teach? Which One Is Correct? 179–184. In M.F. Taşar & G. Çakmakcı (Eds. ), Contemporary science education research: international perspectives. Ankara, Turkey: Pegem Akademi. education research: international perspectives. Ankara, Turkey: Pegem Akademi. J Gois, M Giordan (2010). Chemical representations: bridging submicroscopic and symbolic dimensions of chemical knowledge in light if Peirce’s theory of sign 189– 192. In M.F. Taşar & G. Çakmakcı (Eds. ), Contemporary science education research: international perspectives. Ankara, Turkey: Pegem Akademi. S BouJaoude, A Asghar, J Wiles, L Jaber, D Sarieddine, B Alters (2010). Biology professors’ and teachers’ positions regarding biological evolution and evolution edu- cation in a middle eastern society. 195-206. In M.F. Taşar & G. Çakmakcı (Eds. ), Con- temporary science education research: international perspectives . Ankara, Turkey: Pegem Akademi. L Jaber, S Halwany, N Rizk, S BouJaoude (2010). Epistemological beliefs in science: an exploratory study of Lebanese university students’ epistemologies 207–216. In M.F. Taşar & G. Çakmakcı (Eds. ), Contemporary science education research: internatio- nal perspectives. Ankara, Turkey: Pegem Akademi. D Höttecke (2010). An analysis of status and obstacles of implementation of history and philosophy of science in science education 217–226. In M.F. Taşar & G. Çakmak- cı (Eds. ), Contemporary science education research: international perspectives. Ankara, Turkey: Pegem Akademi. J S. Lederman, N G. Lederman (2010). Development of a valid and reliable protocol for the assessment of early childhood students’ conceptions of nature of science and scientific inquiry, 227-236. In M.F. Taşar & G. Çakmakcı (Eds. ), Contemporary science- education research: international perspectives. Ankara, Turkey: Pegem Akademi. K Kremer, C Grube, D Urhahne, J Mayer (2010). Exploring competencies in un- derstanding the nature of science and scientific inquiry 245–254. In M.F. Taşar & G. Çakmakcı (Eds. ), Contemporary science education research: international perspectives. Ankara, Turkey: Pegem Akademi. C Kadioglu, E Uzuntiryaki, Y Aydin (2010). The role of epistemological beliefs in high school students’ learning strategy 255–260. In M.F. Taşar & G. Çakmakcı (Eds. ), Contemporary science education research: international perspectives. Ankara, Turkey: Pegem Akademi. W M Chan, S L Wong (2010). Relationship between Hong Kong students’ understan- ding of the nature of science and their attitude towards science 261–267. In M.F. Taşar & G. Çakmakcı (Eds. ), Contemporary science education research: international perspecti- ves. Ankara, Turkey: Pegem Akademi. F O. Karatas, G M. Bodner, M Calik (2010). Nature of science versus nature of engi- neering: first-year engineering students’ views of science and engineering relations 269–275. In M.F. Taşar & G. Çakmakcı (Eds. ), Contemporary science education research: international perspectives. Ankara, Turkey: Pegem Akademi. Z Erkorkmaz, D Erduran Avcı, M. Z Yıldırım (2010). Elementary school students’ perceptions about scientists 277–283. In M.F. Taşar & G. Çakmakcı (Eds. ), Contem- porary science education research: international perspectives. Ankara, Turkey: Pegem Akademi. A Christodoulou, J Osborne, K Richardson, C Howell-Richardson, S Simon (2010). A study of student beliefs about the epistemology of science and their relationship with students’ personal epistemologies 285-295. In M.F. Taşar & G. Çakmakcı (Eds. ), Contemporary science education research: international perspectives. Ankara, Turkey: Pegem Akademi. I Galili (2010). Discipline-culture framework of implementing the history and philo- sophy of science into science teaching 297–307. In M.F. Taşar & G. Çakmakcı (Eds. ), Contemporary science education research: international perspectives. Ankara, Turkey: Pegem Akademi. Ç D Bakanay, S İrez (2010). An assessment into pre-service biology teachers’ appro- aches to the theory of evolution and the nature of science 309–318. In M.F. Taşar & G. Çakmakcı (Eds. ), Contemporary science education research: international perspectives. Ankara, Turkey: Pegem Akademi. D Metin, G B Kilic (2010). The effect of the science camp program on children’s views of the tentative nature of science 319–329. In M.F. Taşar & G. Çakmakcı (Eds. ), Contemporary science education research: international perspectives. Ankara, Turkey: Pegem Akademi. H F. Mikelskis (2010). Evaluating the learning potency of historical and epistemolo- gical relevant dialogues 331–339. In M.F. Taşar & G. Çakmakcı (Eds. ), Contemporary science education research: international perspectives. Ankara, Turkey: Pegem Akademi. Walker, K.A, & Zeidler, D.L. (2007). Promoting Discourse about Socioscientific Is- sues through Scaffolded Inquiry. International Journal of Science Education, 29(11), 1387–1410. Erduran, S.; Simon S. & Osborne, J. (2004) TAPping into Argumentations: Deve- lopments in the Application of Toulmin’s Argument Pattern for Studying Sciences Discourse. Science Education, 915-933. ISNAD ÖZTÜRK, Elif , KAPTAN, Fitnat . "“ESERA 2009” FEN EĞİTİMİ ARAŞTIRMALARI KONFERANSI ve İÇERİĞİNE BAKIŞ: Bilimin doğası, tarihi ve felsefesi, argümantasyon üzerine yapılmış çalışmalar". Kastamonu Eğitim Dergisi 22 / 2 (July 2016): 649-672.